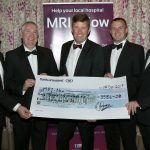 Colm Neville (Riverside Park Hotel), John Hackett (Bank of Ireland), Ciaran Sheridan (chairman Friends of Wexford Hospital), Tony O'Leary (Bank of Ireland) and Niall Reck (Friends of Wexford Hospital) presenting cheque on behalf of the staff of the 7 branches of Bank of Ireland in Wexford at the Black Tie Ball at the Riverside Park Hotel, in aid of MRI Scanner at Wexford General Hospital. 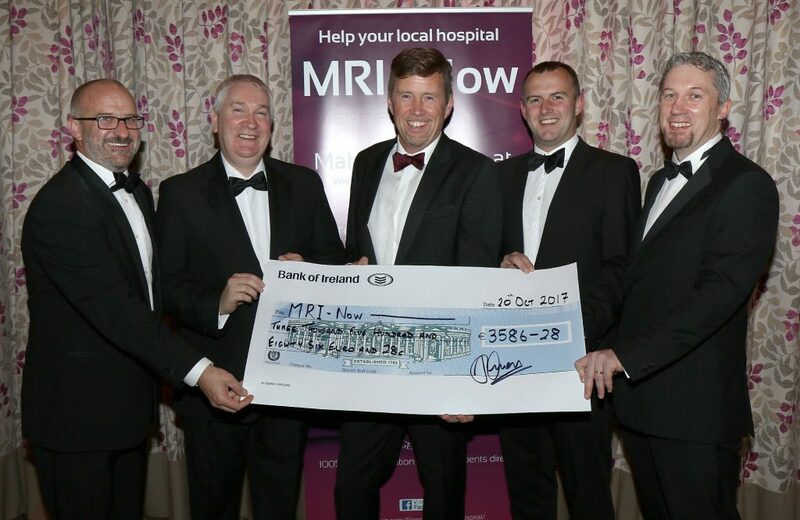 Colm Neville (Riverside Park Hotel), John Hackett (Bank of Ireland), Ciaran Sheridan (chairman Friends of Wexford Hospital), Tony O’Leary (Bank of Ireland) and Niall Reck (Friends of Wexford Hospital) presenting cheque on behalf of the staff of the 7 branches of Bank of Ireland in Wexford at the Black Tie Ball at the Riverside Park Hotel, in aid of MRI Scanner at Wexford General Hospital. 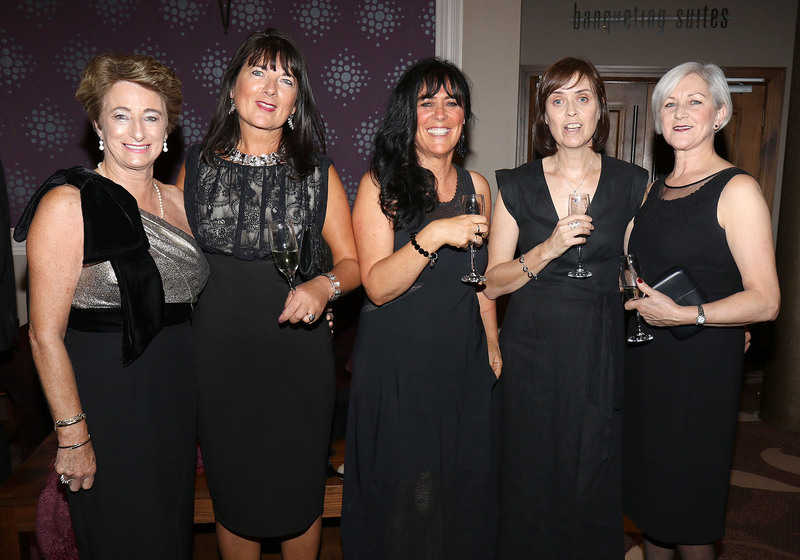 Organised by Colm Neville of the Riverside Park Hotel in conjuction with Enniscorthy and Distrisct Chamber of Commerce together with Friends Of Wexford General Hospital, the full ticket prices and all proceeds, including a raffle, went to the Friends of WGH Charity to support their current fundraising goal to raise €250,000 towards the purchase of an MRI Scanner to improve patient care at our hospital. 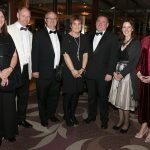 The black tie ball was sponsored by the Riverside Park Hotel, Bank of Ireland, Pallas Food. 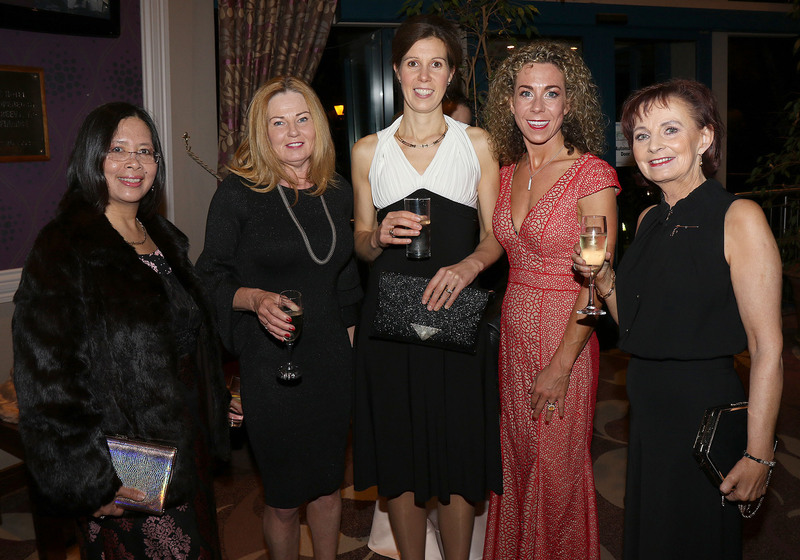 Numerous businesses made valuable donations towards the evening’s success and this included fabulous raffle prizes. Many people bought tickets for the event even though they were unable to attend. 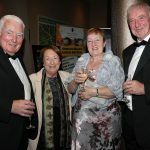 “The generosity of everybody has been astonishing and I find it impossible to find words to express my gratitude” said Ciaran Sheridan, Chairperson of Friends of Wexford General Hospital. 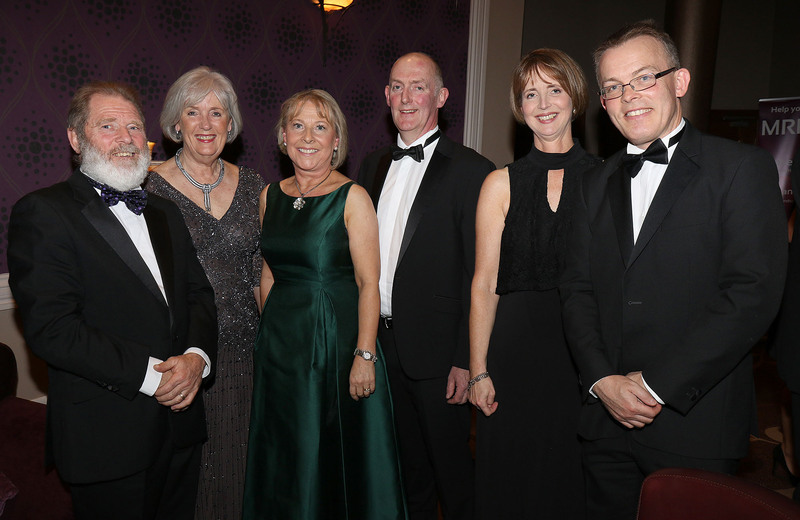 Ciaran was delighted to welcome Mr. Aidan Buckley, Consultant Cardiologist at Wexford General Hospital, and Lily Byrnes, General Maneger Wexford General Hospital, as guests on the night. Dr Buckley spoke about the absolute necessity of having MRI, a resource that every major hospital should now have on site. 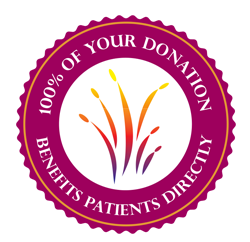 “This evening’s event will assist greatly in fundraising for an MRI Scanner. To everybody who helped organise, all the sponsors, the donors and to all the staff here at the hotel thank you for your kindness and for your support. A special thanks to the Bank of Ireland staff in all 7 branches across Co Wexford who held a coffee morning which raissed over €3,500 in aid of the MRI Now appeal.” said Ciaran. 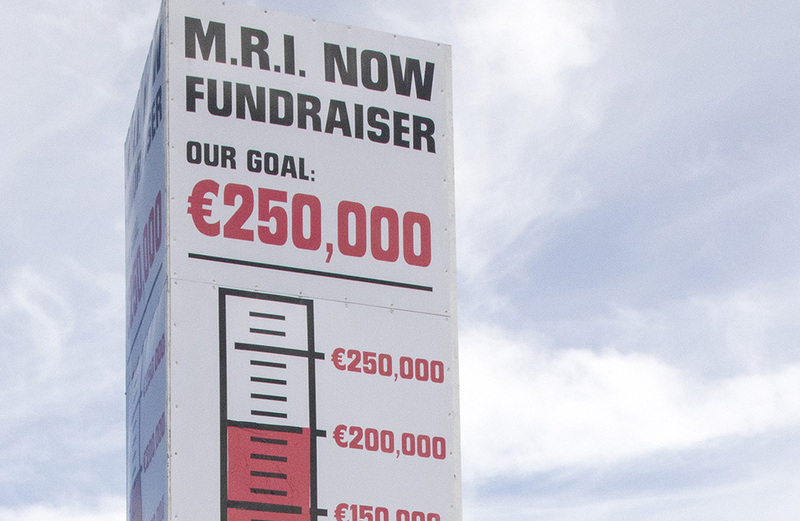 “A sponsored run, a coffee morning or any event that will raise valuable funds, big or small, will go a long way to helping us hit our goal and secure an MRI for Wexford. Please spread the word and help us make a difference. Tonight has been a phenomenal success” he concluded. 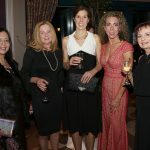 Yasmin O’Loughlin, Fiona Redmond, Sinead Kinsella, Leonie Grany and Mary O’Leary at the Black Tie Ball at the Riverside Park Hotel, in aid of MRI Scanner at Wexford General Hospital. 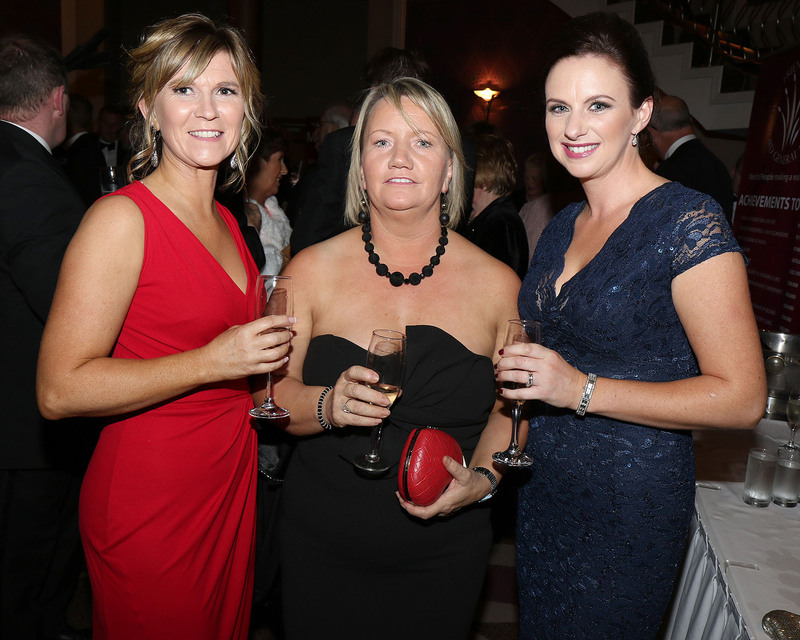 Meabh Cooney, Carmel Neville and Orla Martin at the Black Tie Ball at the Riverside Park Hotel, in aid of MRI Scanner at Wexford General Hospital. 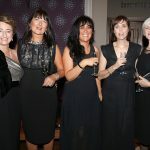 Moira Fortune, Patricia Carr, Claire Murphy, Theresa Neville and Angela Mason at the Black Tie Ball at the Riverside Park Hotel, in aid of MRI Scanner at Wexford General Hospital. 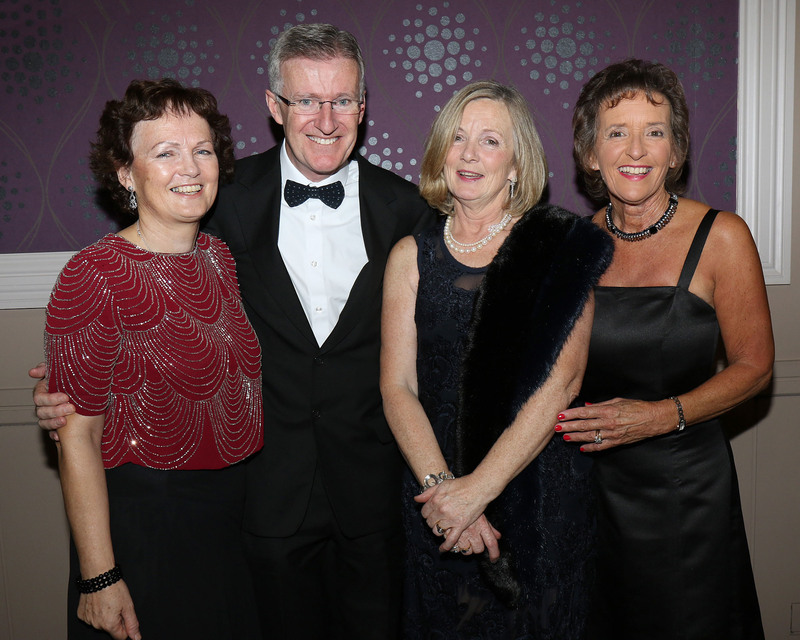 Julie Heslin, John Burke-O’Leary, Margaret Flood and Ann Wall pictured at the Black Tie Ball at the Riverside Park Hotel, in aid of MRI Scanner at Wexford General Hospital. 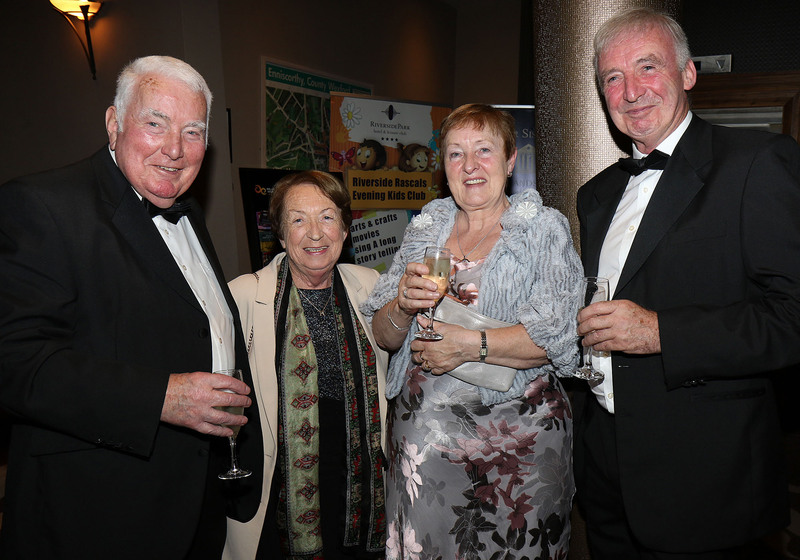 Joanne Kehoe, Liam Hendricken, Tadhg Ó Corcora, Grainne Cooney, Cllr. Keith Doyle, Liz Hore and Cllr. 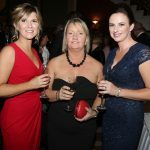 Kathleen Codd-Nolan at the Black Tie Ball at the Riverside Park Hotel, in aid of MRI Scanner at Wexford General Hospital. 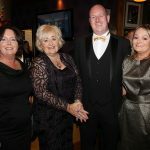 Alice Joyce, Maree Lyng, Dave Fox and Emma Fox at the Black Tie Ball at the Riverside Park Hotel, in aid of MRI Scanner at Wexford General Hospital. 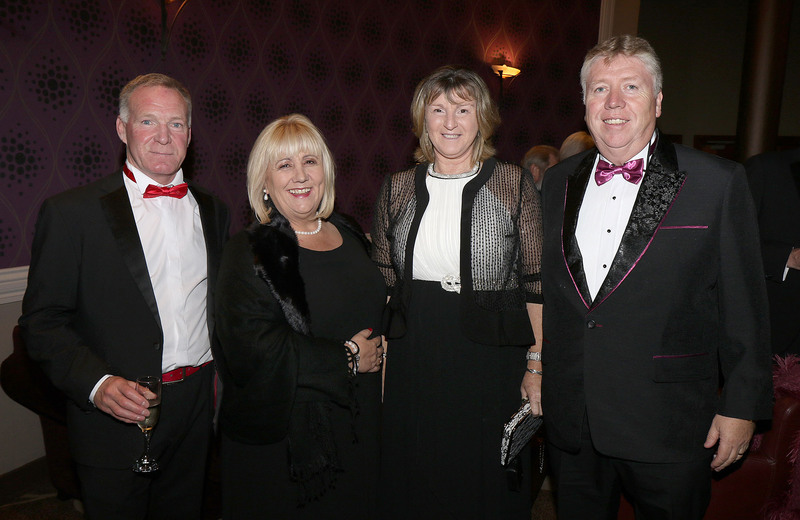 Derek and Joan Nally and Collette and Michael Bennett pictured at the Black Tie Ball at the Riverside Park Hotel, in aid of MRI Scanner at Wexford General Hospital. 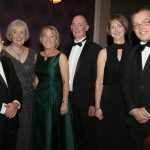 Padraig and Madeleine Quirke, Lily and Dave Byrnes and Aideen and Aidan Buckley pictured at the Black Tie Ball at the Riverside Park Hotel, in aid of MRI Scanner at Wexford General Hospital. 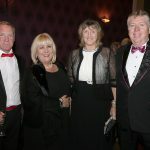 Mark and Mary O’Farrell and Ellie and John Dempsey pictured at the Black Tie Ball at the Riverside Park Hotel, in aid of MRI Scanner at Wexford General Hospital. 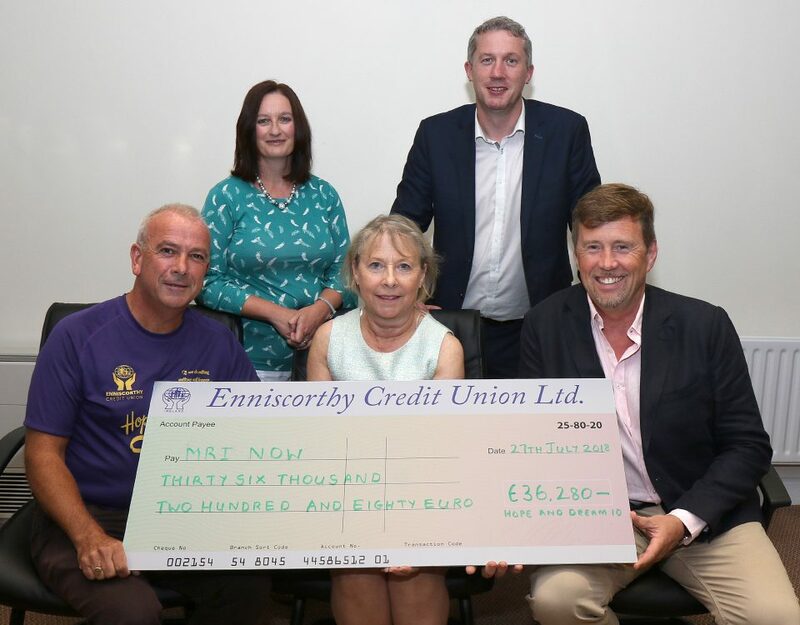 MRI Now cheque presentation of cheque for €36.280, proceeds of Hope & Dream 10 2017. Back. 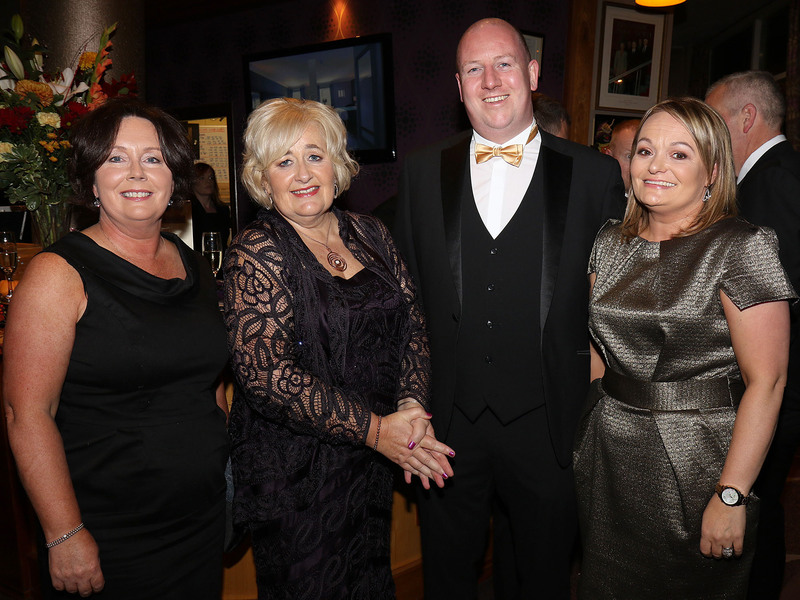 Denise McDonald (Hope Centre0 and Niall Reck (vice-chairman MRI Now). Front. 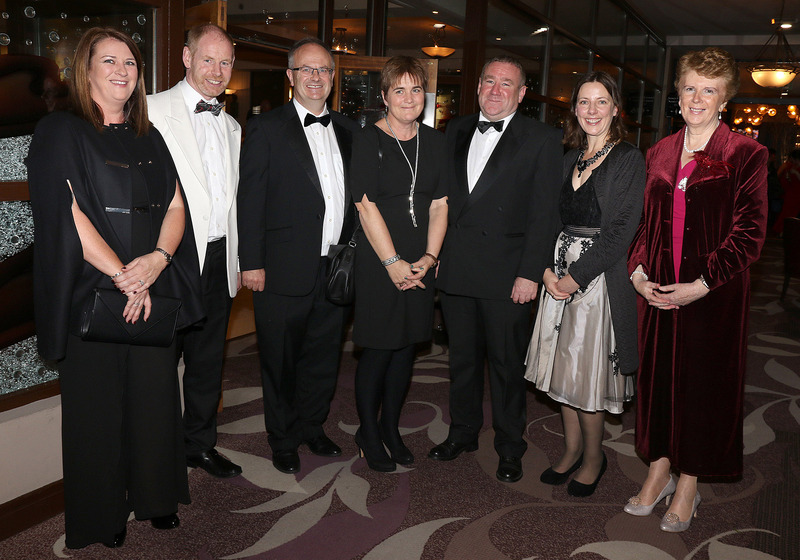 Michael Jordan (Hope Centre), Lily Burns (Wexford General Hospital) and Ciaran Sheridan (chairman MRI Now). 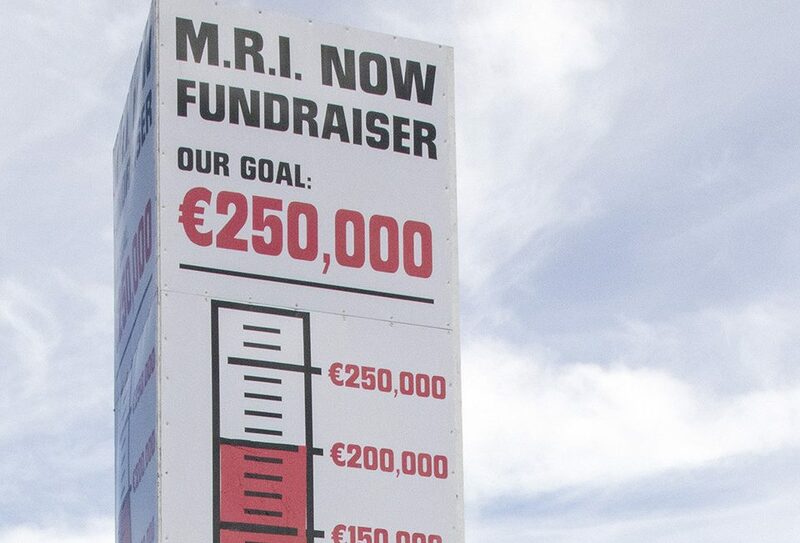 On the up, Friends of Wexford General Hospital showing that the fundraising has reached two hundred and fifty thousand euro. 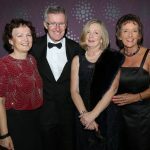 Niall Reck, Patricia Hackett, Mary Kerr and Kieran Burns showing all is going in the right direction.